Hiring the right talent is always the key to any startup's success. From building the core team to finding the right set of people to scaling up keeps an entrepreneur on his toes. Be it co-founders, technology heads, product managers & executive hires, Techcircle Spot Hire brings together the best talent to explore emerging opportunities at vibrant startups. Come, be a part of the biggest talent discovery drive with Techcircle Spot Hire session. 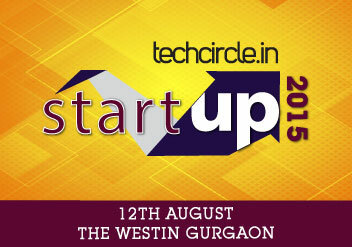 If you have the quest to hire the right talent, come, be a part of the biggest talent discovery drive with Techcircle Spot Hire, a part of Techcircle Startup 2015, which will be held onAugust 12 at The Westin, Gurgaon. For queries, write to kanika@vccircle.com. To be a part of spot hire session, write toregister@vccircle.com. The event will also feature engaging panel discussions & expert talks in addition to sessions such as: Techcircle Showcase, Entrepreneur-Investor Meet-up, Techcircle Startup Walkabouts, Techcircle Startup Fair. To take a complete look at the agenda, click here. Click here or write to us at register@vccircle.com to know more. For branding & display opportunities, you can write to nayab.k@vccircle.com.